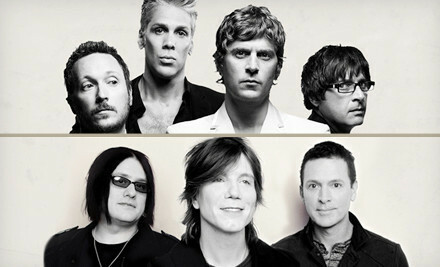 You are here: Home » Matchbox Twenty, Goo Goo Dolls for $15! Matchbox Twenty, Goo Goo Dolls for $15! Deal ends April 1 at Midnight! Have double the fun seeing two extremely popular rock groups, Matchbox Twenty and Goo Goo Dolls, on their summer tour for $15 – more than 50% off – with a deal from Groupon for lawn seats at Verizon Wireless Amphitheatre. The show takes place on August 6 at 7 p.m.